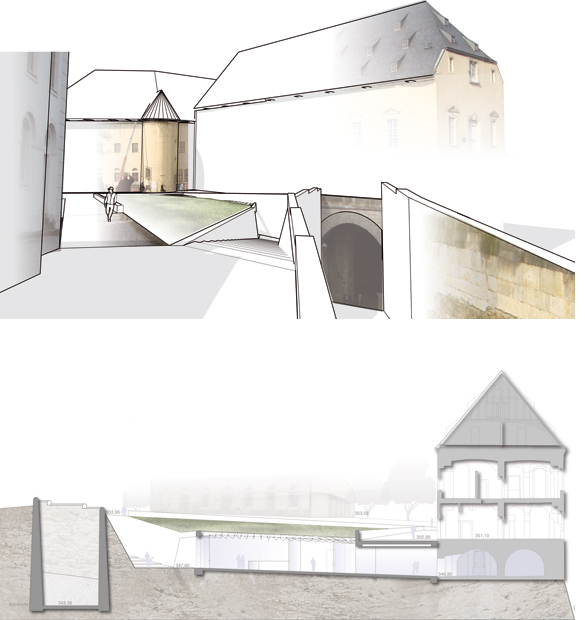 The new entrance to the exhibition is not a building, it’s rather only the continuation of the passage into the fortress existing since the year 1589. 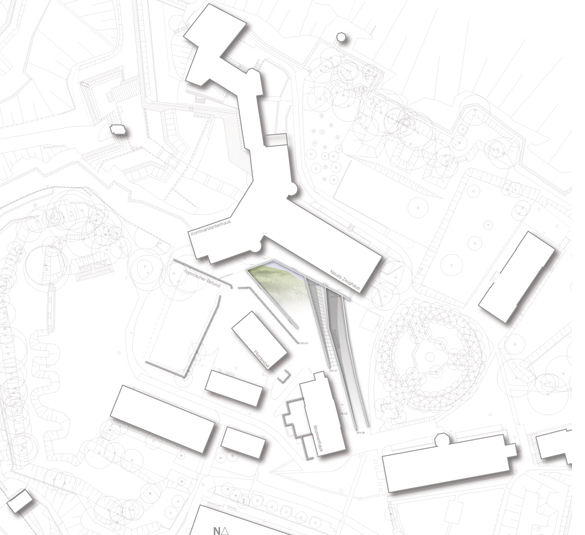 The new entrance to the exhibition is not a point - it’s a meandering line which begins at the red bridge, guides to Hornravelin, Medusentor and through the dark and deep Appareille to the fountain house. 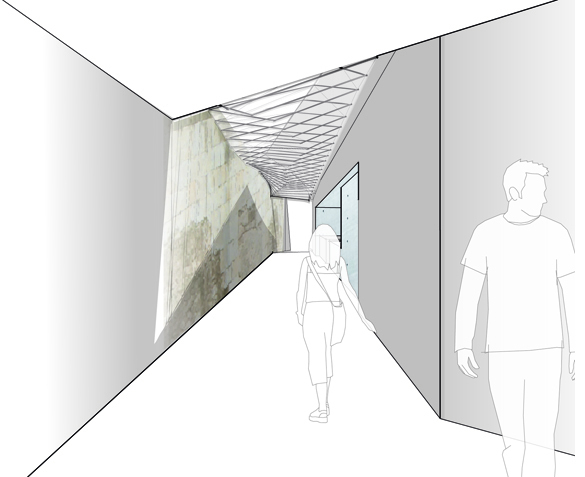 The line continuous with a stoned staircase trailing down to the entrance of the museum. The design adopts the peculiarities and qualities of the place and develops them further: narrow and wide; passages and nicks; natural rocks and sloped stonewalls; small earthwork and edges covered with green. The now spatial volumes subordinate themselves to the existence.